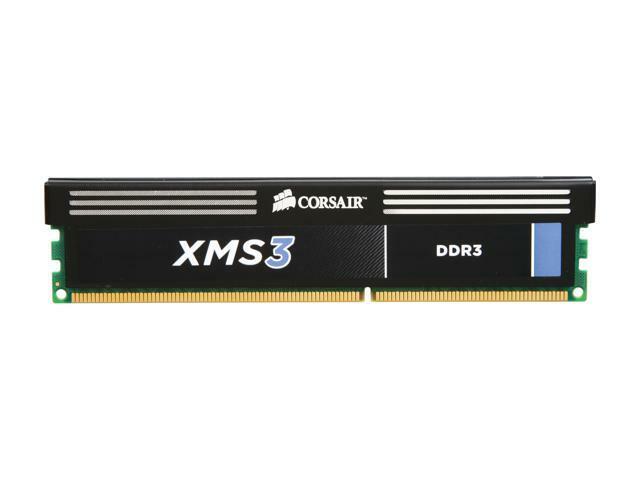 4GB (1x4GB) DDR3 for AMD and Intel Dual and Triple processors. Operates in Single Channel mode when installed individually. Pros: Great for legacy DDR3 systems. Cons: Design is dated, if that matters? Other Thoughts: I use it in a AMD A10-6800 based system, and it works great. Pros: No compatibility issues, though I did just add this to another stick of identical RAM. Other Thoughts: It's RAM, from my experience if you look on the MOBO mfg's site and make sure it's either tested or not on their known incompatible list, It either works or it doesn't . Pros: This ram is Cas 9.. Works Great I may add. My motherboard auto detected at the right speeds. Some motherboard won't ....if the motherboard doesn't, do bellyache and whine, just manually adjust setting in the bios, its not a big deal. Cons: I can't think of anything to put here. Cons: The price. When I bought my set it was only like 100 bucks. now its creeping towards 200 bucks which is why I haven't bought my second set yet. Pros: It's fast, reliable, cheap, and can handle everything I throw at it!